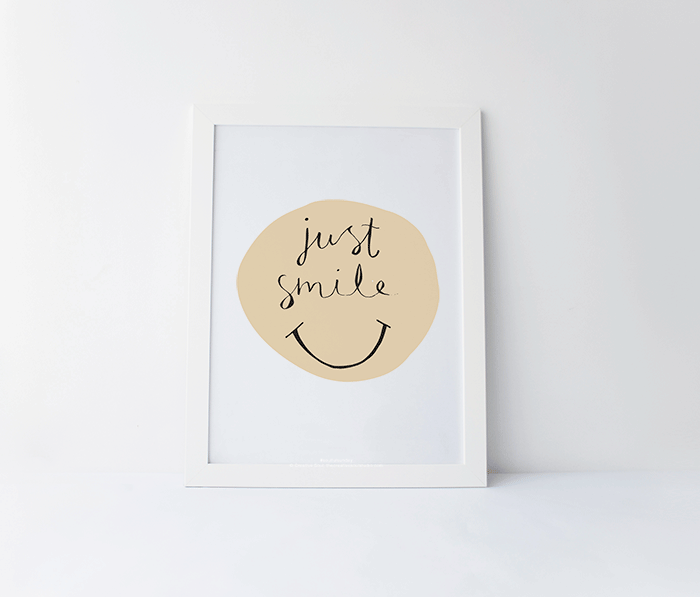 Hello Creative Souls – so this weeks free printable is a simple one really – Just Smile! Because if you smile then you instantly feel better and even if you don’t feel good then ‘fake it until you make it’ they say don’t they? Like being grateful though you can always find something to smile about in your life or business right? You might be having a stressful day but then just take a minute to pause, look around and find something to smile about and it makes the day so much better! For me it’s watching my kids play nicely together (which isn’t all that often at the moment! ), viewing some stunning scenery on a walk or just simple things like some nice food!